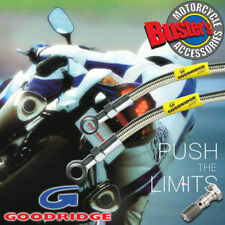 Part of the clear coated braided hose collection. The ends of this line are a 3/8" 35 degree banjo to a screw on style AN3 connection. Fits the top of any single disc front brake line where a 20" upper is required. 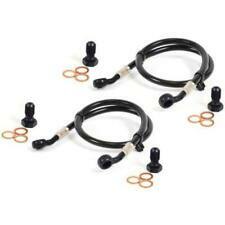 NEW Goodridge Stainless steel Braided brake line for Harley-Davidson Softail models Rear 2008 to 2009. We have access to most parts and accessories including Genuine Harley-Davidson. Part Number HD0096-2RC. NEW Genuine Harley-Davidson Black Diamond Brake Line Upper 28". 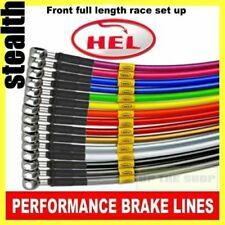 Fits the top of any single disc Diamond back font brake line where a 28" upper is required. The ends of this line are a 3/8" Black banjo to a screw on style AN3 connection. 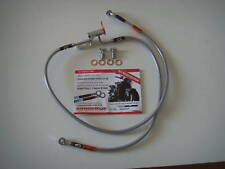 NEW Goodridge Stainless steel Braided brake line for Harley-Davidson FLSTC & FXSTD Softail models Rear 2007. 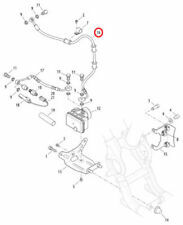 Part Number HD0086-2RC. 920582 Standard size on all FLSTC & FXSTD Softail models 2007. We have access to most parts and accessories including Genuine Harley-Davidson.